Well it has been a while since the last entry and with good reason, I have been so busy! The latest interior project was designed, created and installed for a great couple, Chris and Carla at the Seadrift Kitchen-Café, Porthleven. Seadrift is a stylish contemporary kitchen focusing on freshly prepared high quality local produce cooked on the premises. On first contact with Chris and Carla I was given the branding and had a good look around the premises. Two stained glass panels created by Julia Mills had been removed and we discussed incorporating these and a third panel (still mounted in the back wall) into the overall scheme and also employing elements of the branding to create custom seating with storage underneath the seats, an under-stairs cupboard, bar area and tables. Scribing to this wall was fun! The scheme has been created using three layers of 6mm MDF to create a 3D effect on the fronts of all of the furniture. The individual layers have been spray finished using three separate solid blue colours matched to the client specification and a sand colour for the background colour. I decided that the bar front should hold the stained glass panels and incorporated light boxes behind them to show them at their best. The bar tops and tables have been made with solid European oak and the upholstery was sub contracted to a local firm who sourced a material to match the customers chairs, which they acquired from the Eastenders set! You can see from the before and after pictures what a transformation has taken place. Southwesterly Gallery in Dartmouth is the latest gallery to sell work from Journeyman Furniture. The gallery features work from local artists and craftspeople in varying media, and is in the centre of town just across the road from the entrance to the market the postcode is TQ6 9RT and the telephone number 01803 833 400. There is currently a solid oak coffee table available and accessories including salad servers, chopping/bread boards, tea light holders, dice pen and pencil holders and candlesticks. Just in time for Christmas! The Dartington Cider Press Centre is currently holding an exhibition in the Craft Gallery called Take a Pew which focuses on seating and features some great work by furniture designer makers in the South West. Journeyman Furniture is taking part and is showcasing three chairs and the new Cirgle range. 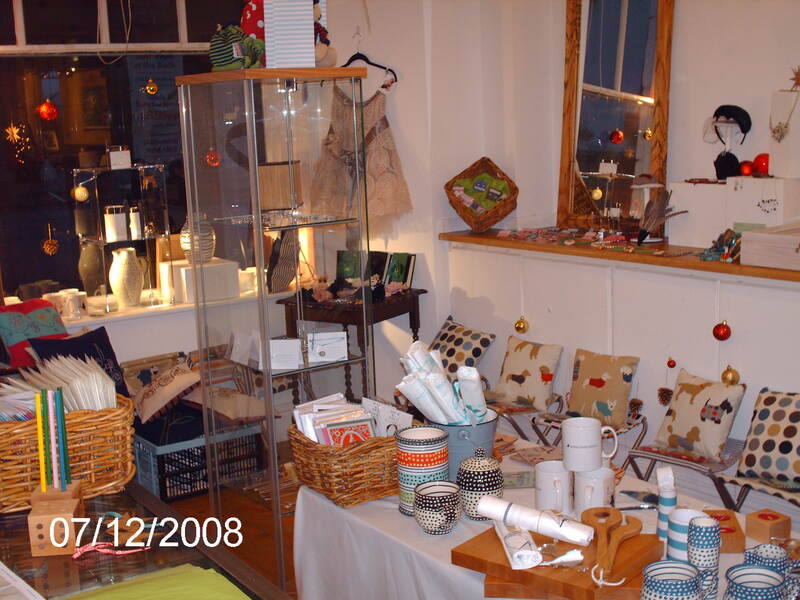 Everything on show is available to purchase and you can contact the makers through the gallery. Unfortunately the show finishes on the 7th November so this will be the last weekend to see it. Craftpoint is coming together nicely! Well we have put many Craftpoint posters up already with more to follow tomorrow. We also have a nice big vinyl banner and some vinyl posters so watch out for them in and around the town over the weekend. We also have plenty of fliers and some green balloons which we will put along King George V memorial walk and from the iron bridge leading to North Quay so Hopefully nobody will miss us. The promotional material is looking fabulous and the studio and gallery is being transformed for the weekend. We have over 15 designer makers and artists taking part, all of the work is of a very high quality. The Craftpoint Pop Up Shop will be open from 10am – 6pm daily from Friday 30th July to Sunday 1st August.There really is something for everyone, so come along and say hello, you will be most welcome. Refreshments will be available from the Harbour View Cafe which is just around the corner. Posted in Uncategorized | Comments Off on Craftpoint is coming together nicely! Almost finished the Craftpoint flyers, I will post one up when finished. There is some of the best local talent showcasing their work at the Pop Up Shop, this will be a great event, we would love to see you all there.